Nothing phases us when it comes to bathroom installations. Our expert team of bathroom installers have been carrying out all forms of bathroom re-fits for 25 years; replacing like-for-likes and altering entire bathroom layouts, even if you dream of turning a bedroom into a bathroom, shower room or wet room, just give us a call. We carry out all the associated bathroom work too; from tiling, electrical, small building work, carpentry, plastering and decorating. 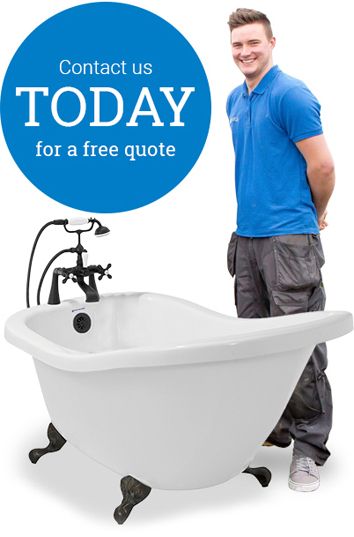 We’re used to coordinating and project managing any bathroom alteration work, so our customers don’t have to. From start to finish you’re in safe hands with Aqua Plumbing & Heating Ltd. All our bathroom installers are fully qualified to keep one step ahead of industry requirements which means all our work is carried out to the highest standard. If you would like more information about the latest bathroom ranges and accessories then simply give us a call on 01590 671875, we work alongside local bathroom showrooms and are happy to give you their details. "Professional, helpful, flexible and efficient."